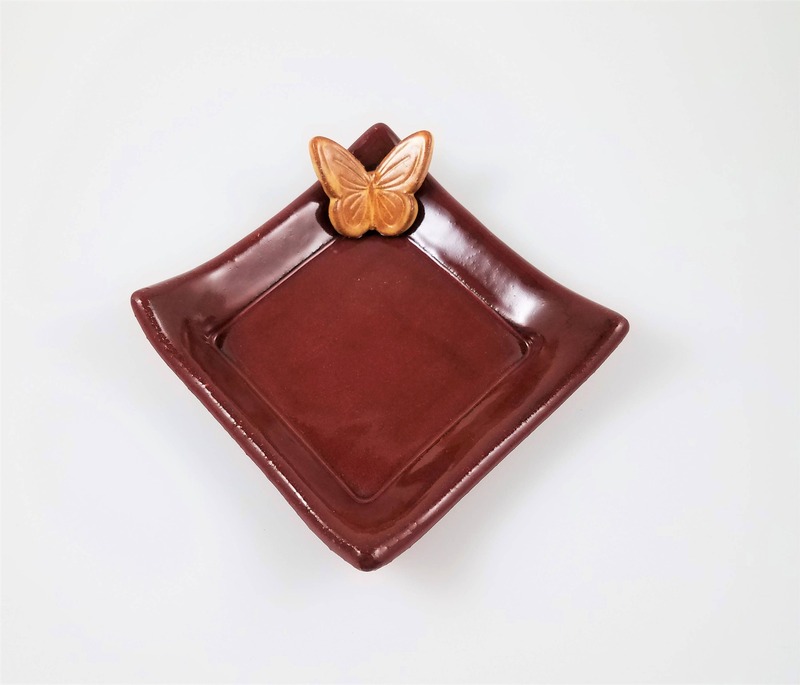 There are so many uses for this handcrafted ceramic dish! 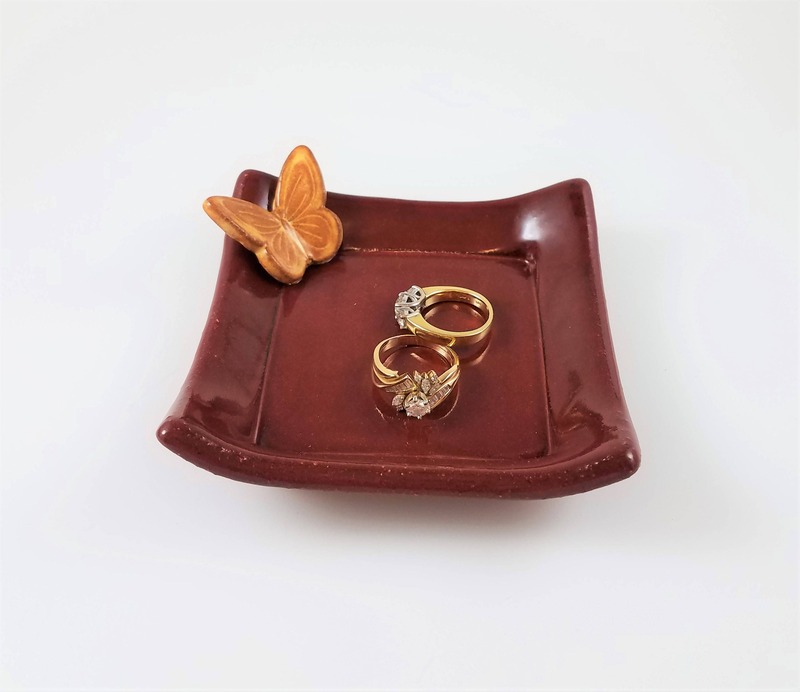 A bright yellow butterfly rests on the corner of this little stoneware tray creating an eye-catching piece of handmade pottery. 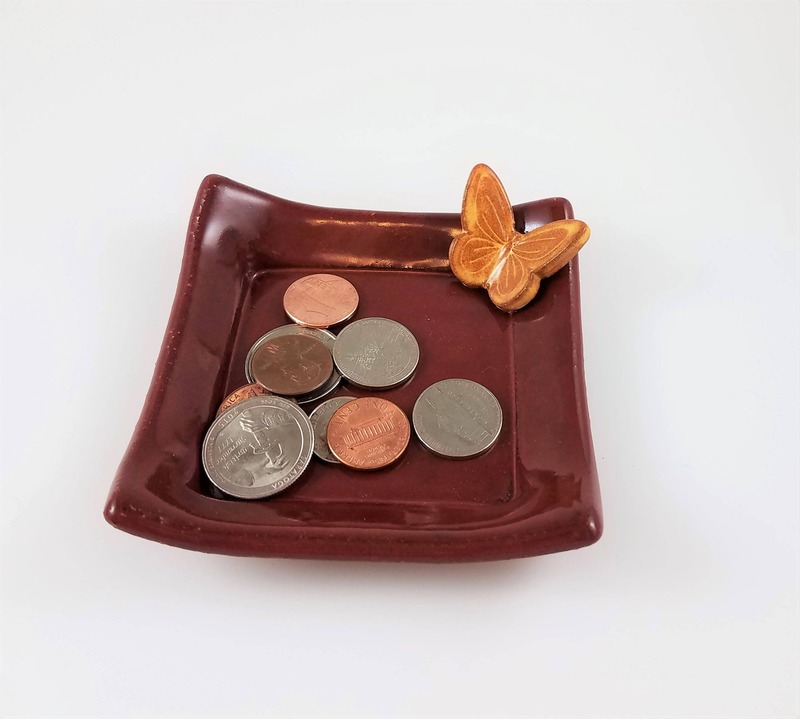 Perfect for your bedside table to hold a variety of things; like your rings, spare change or use it as a sweet little candle holder. It's also great to use on an entry way table to catch your keys when you walk in the door. It would look nice in a spare bathroom holding a couple of little guest soaps. You can use it as a tea bag holder too! 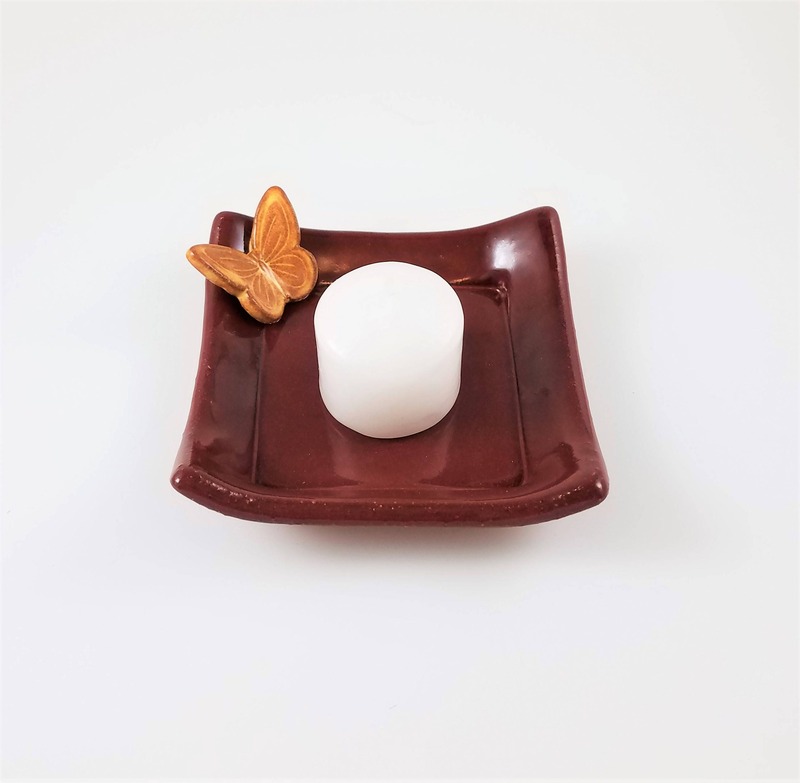 I create these ceramic dishes from slabs of stoneware clay and kiln-fire them to cone 5. 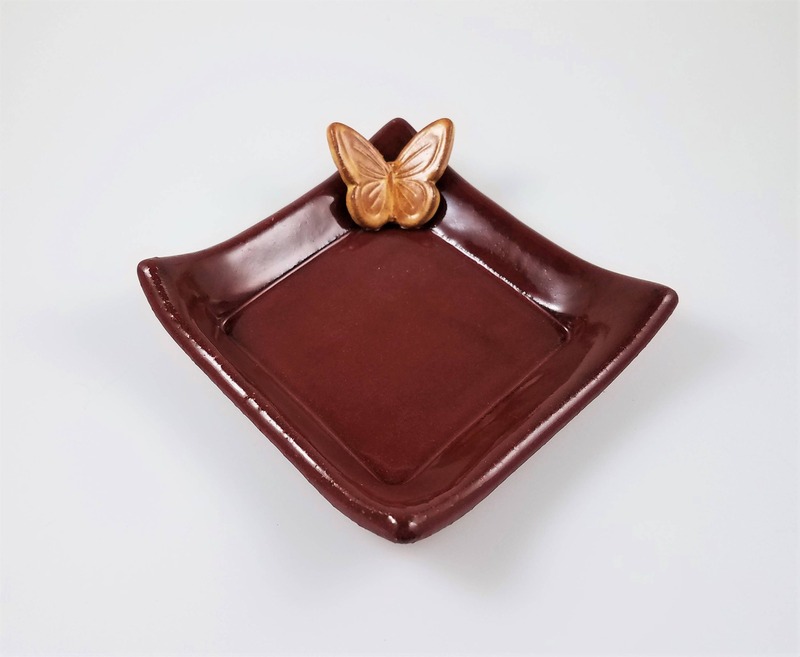 This ceramic dish measures approximately 4" x 4" and is 1" in height.